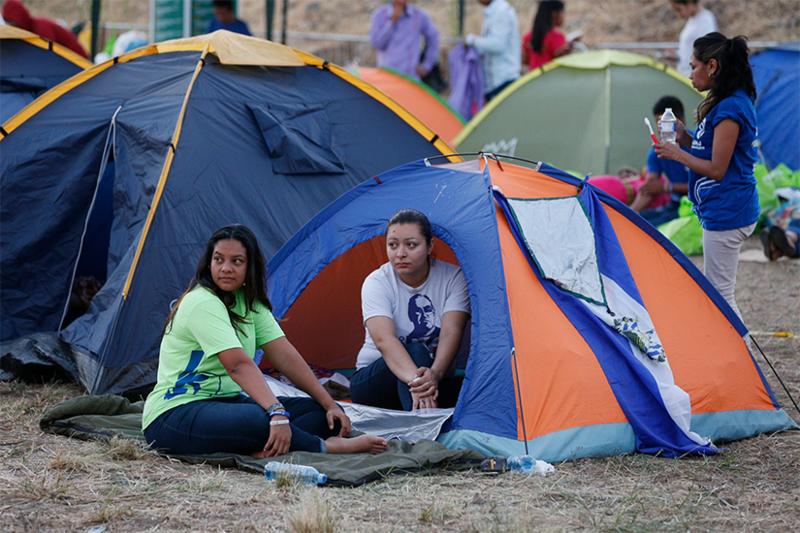 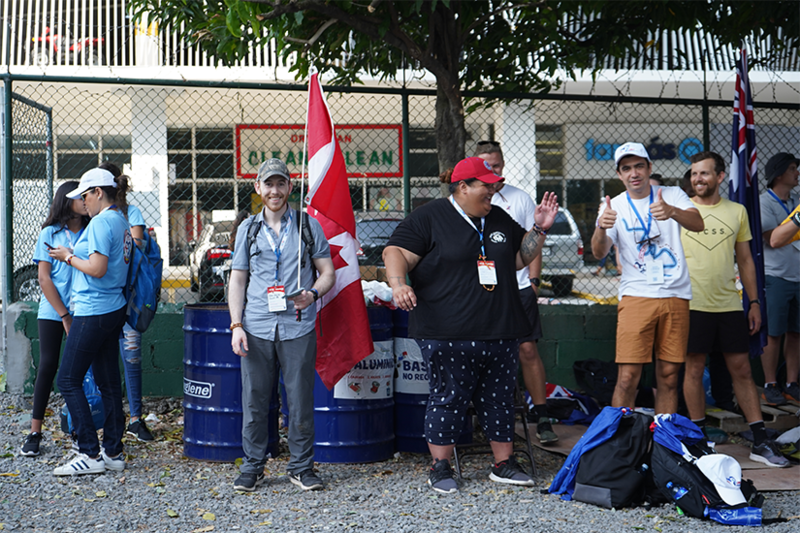 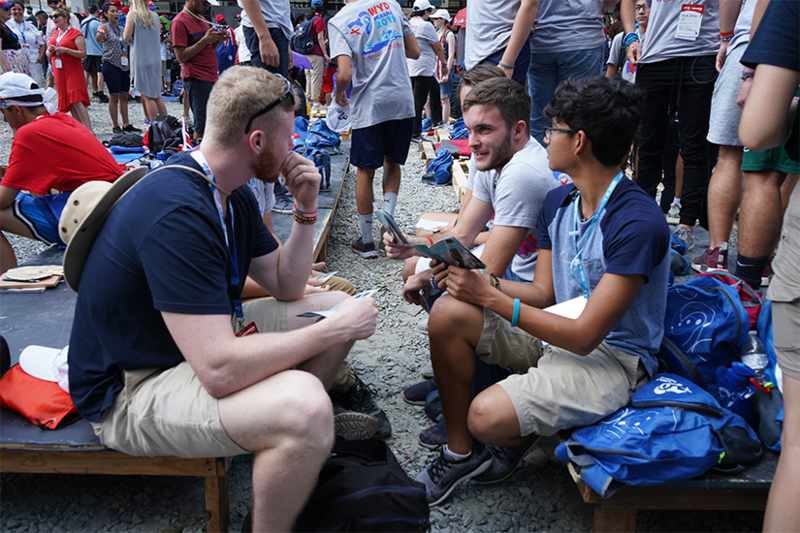 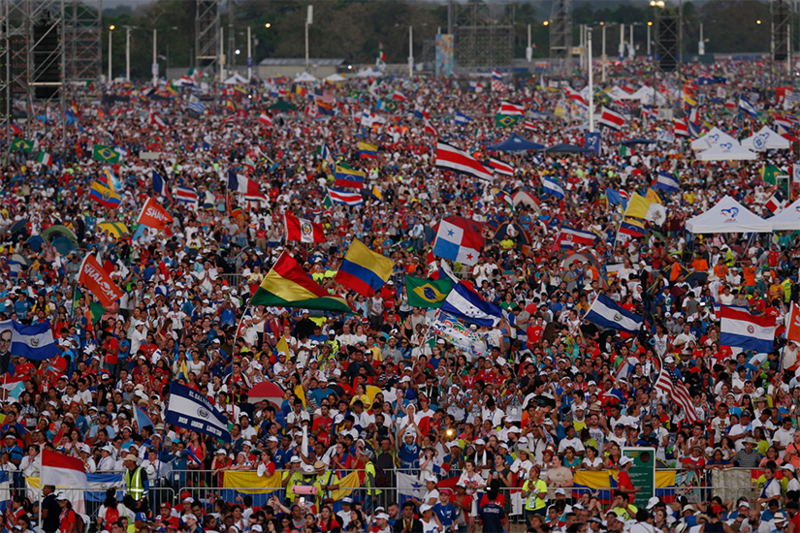 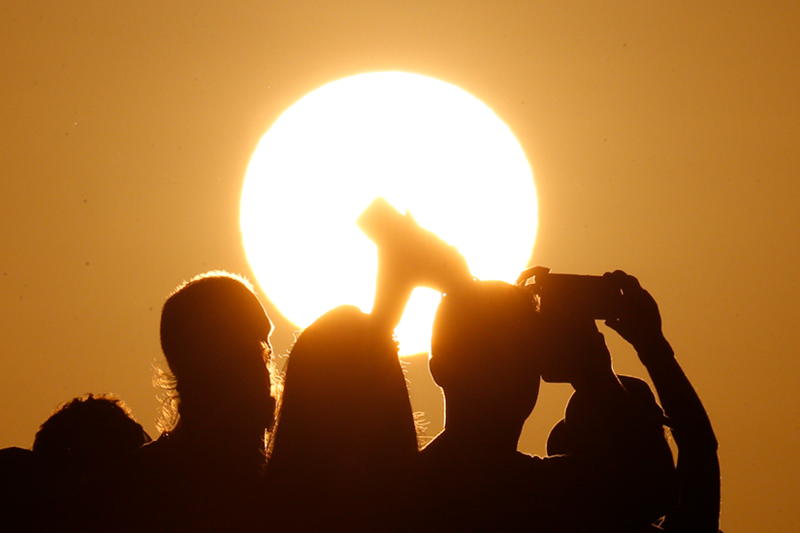 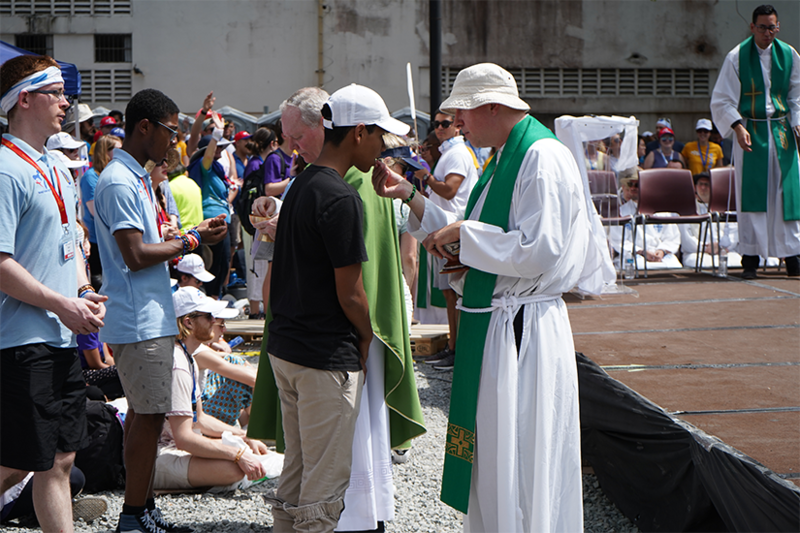 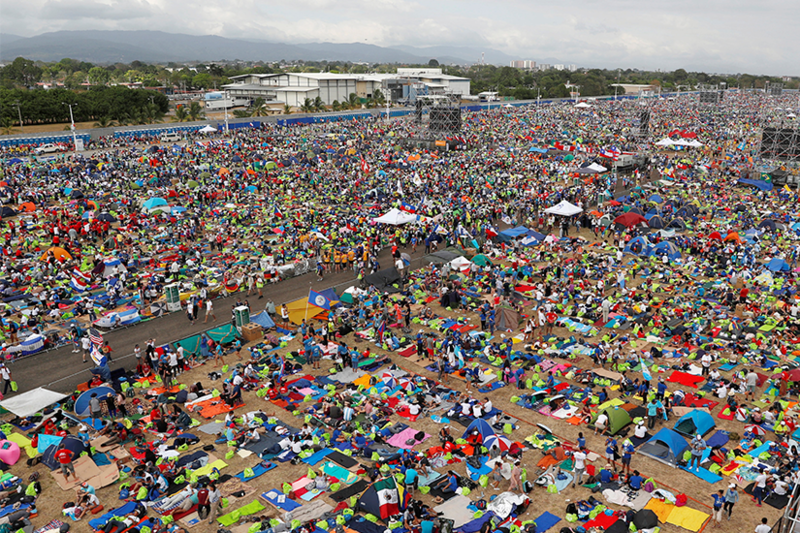 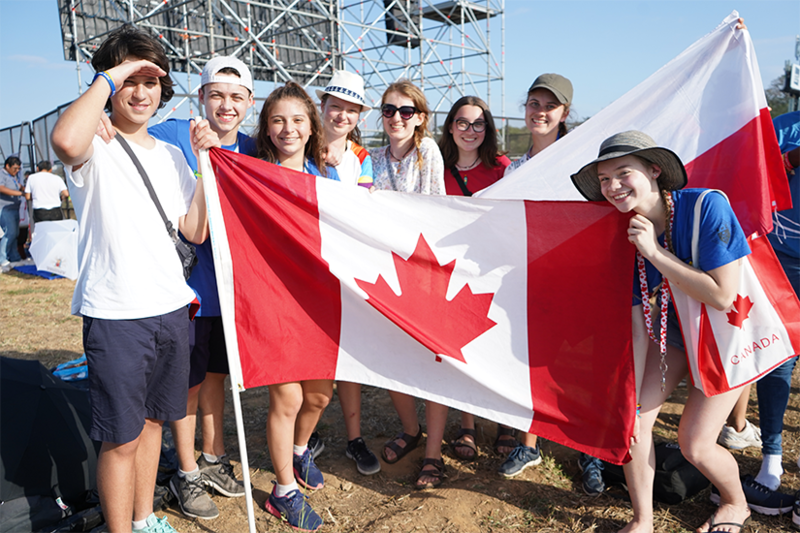 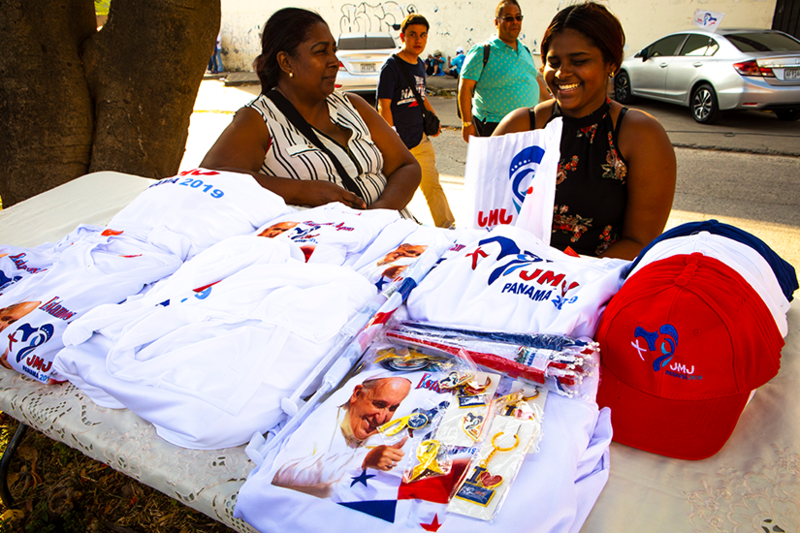 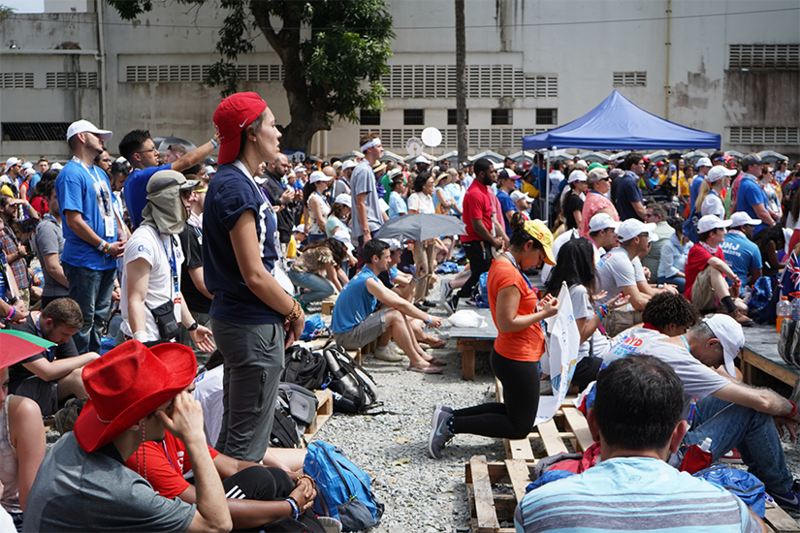 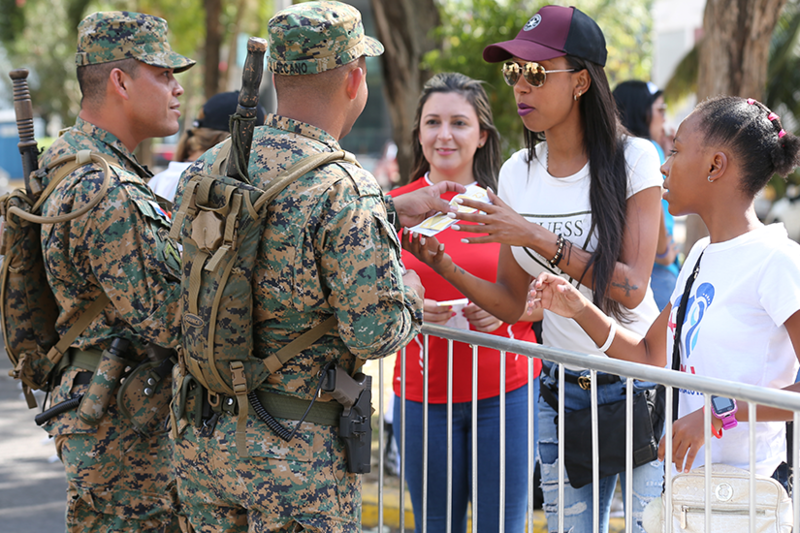 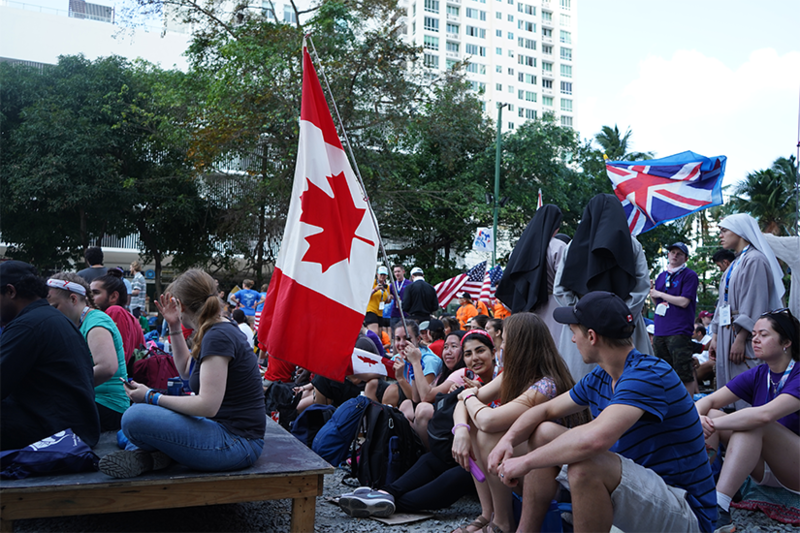 With the hot Panama sun beating strong, on the final day of WYD over 20,000 volunteers gathered in the open-air stadium of Rommel Fernandez, eagerly awaiting the arrival of Pope Francis. 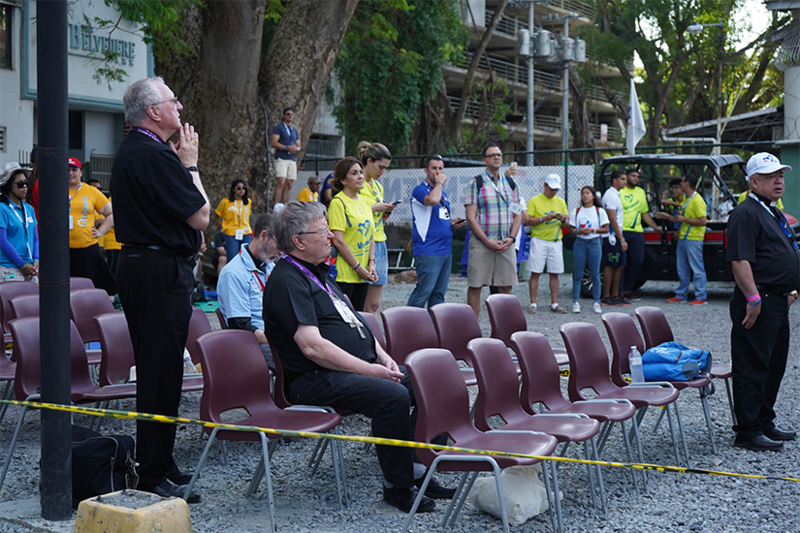 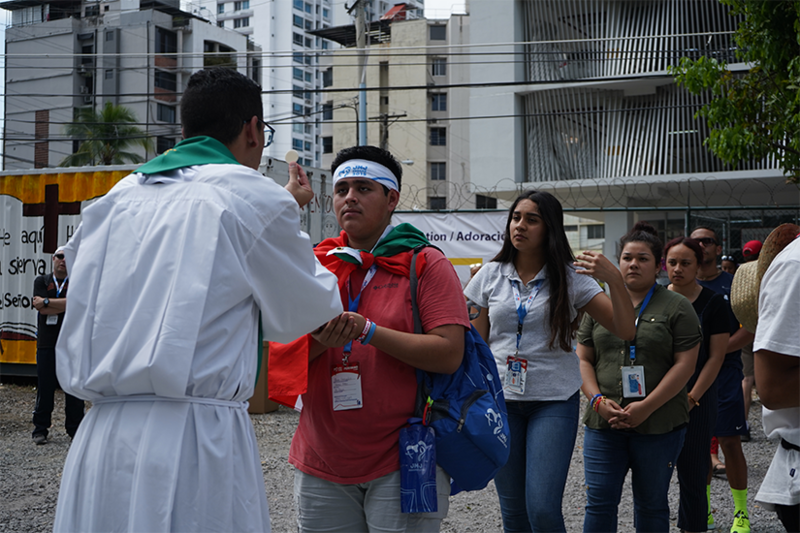 In closing out the events of WYD, volunteers are provided the opportunity of an encounter with the Holy Father. 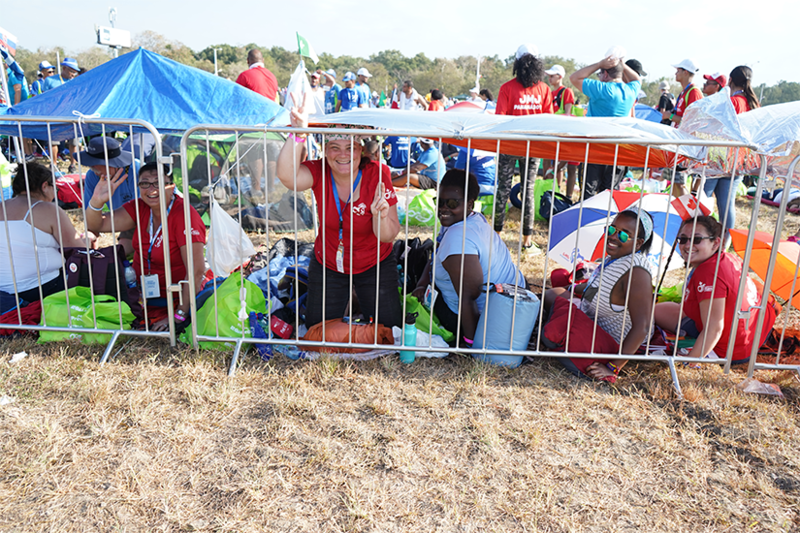 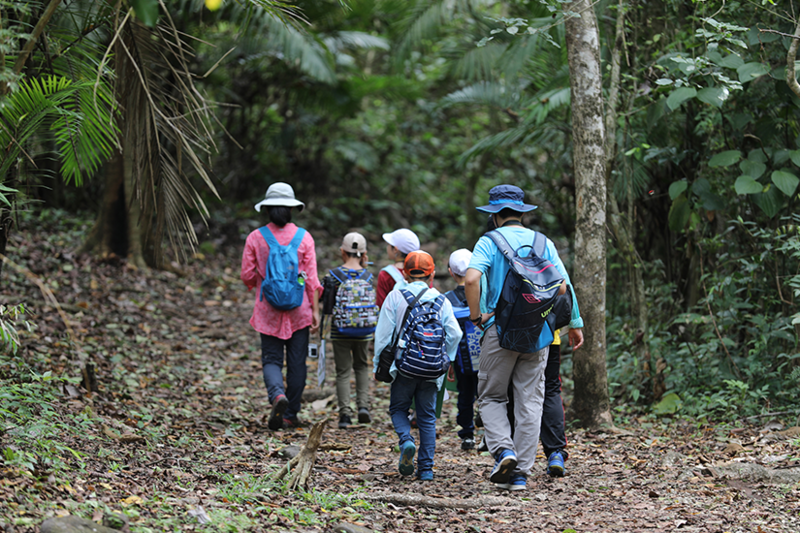 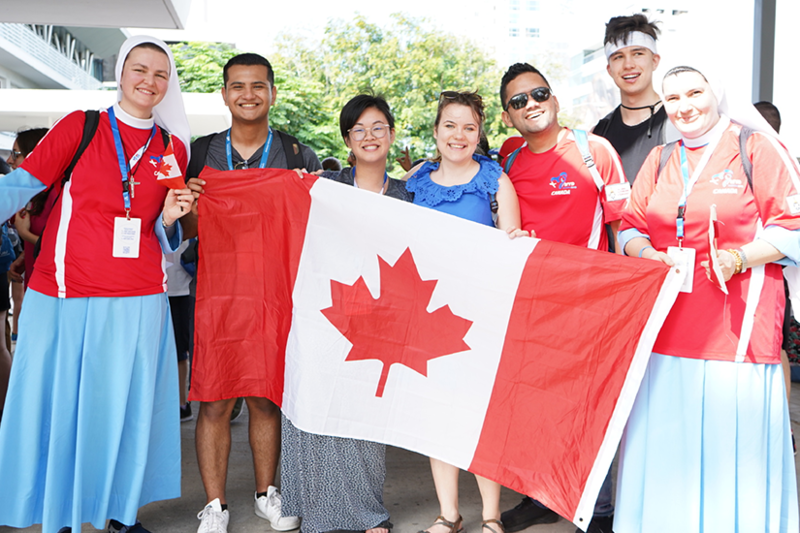 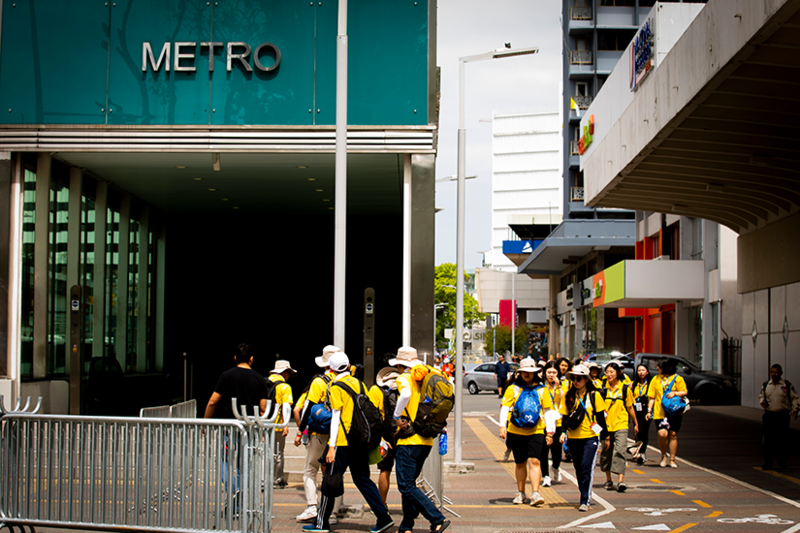 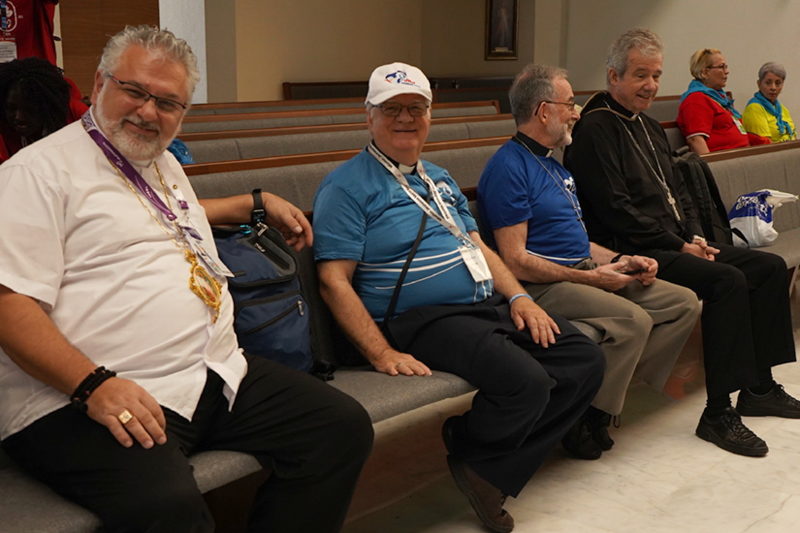 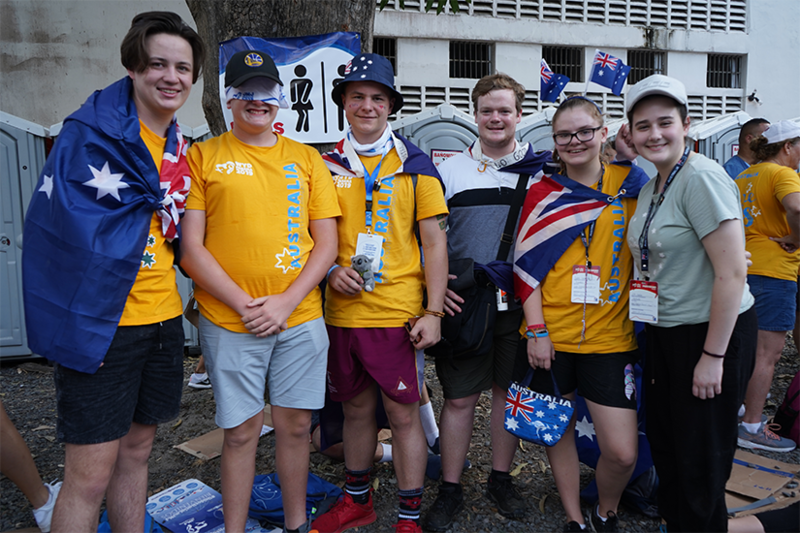 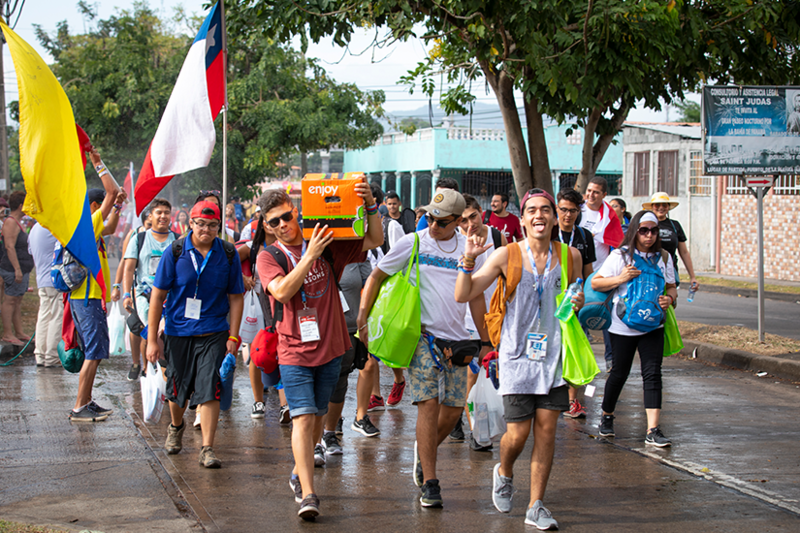 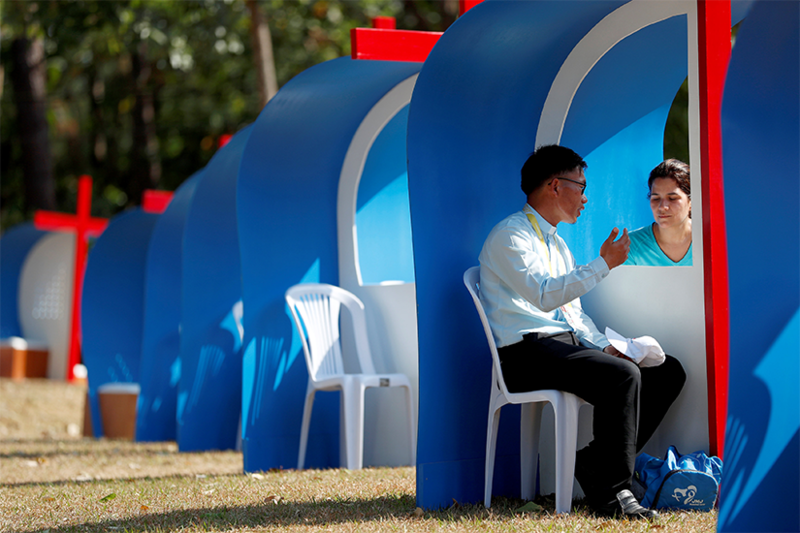 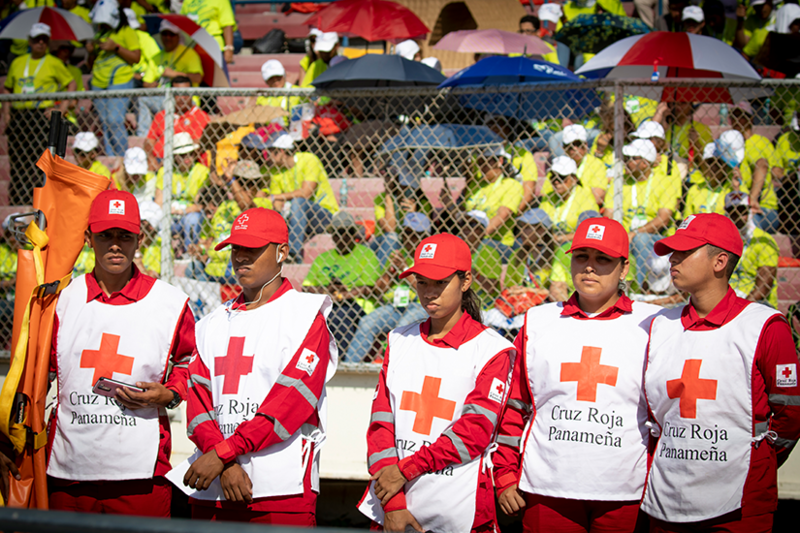 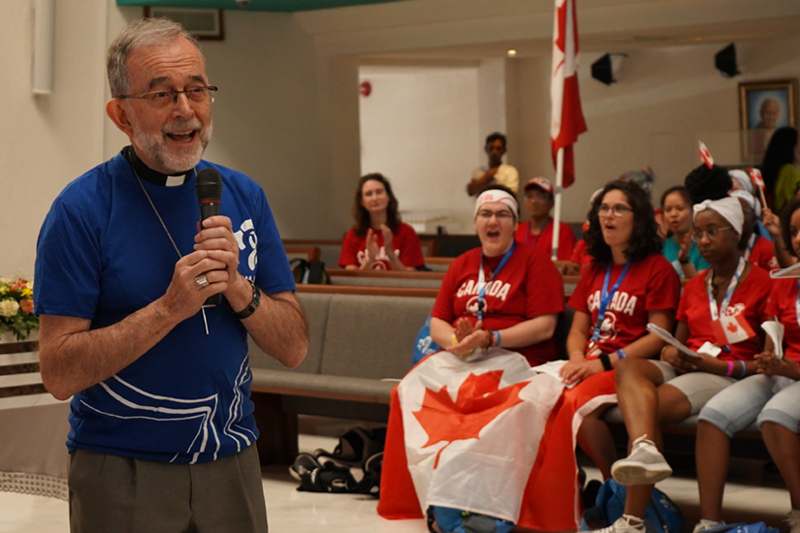 The event is afforded to the volunteers, who give of their time and service to make the WYD possible, many of whom, because of their responsibilities are unable to attend the main events of WYD. 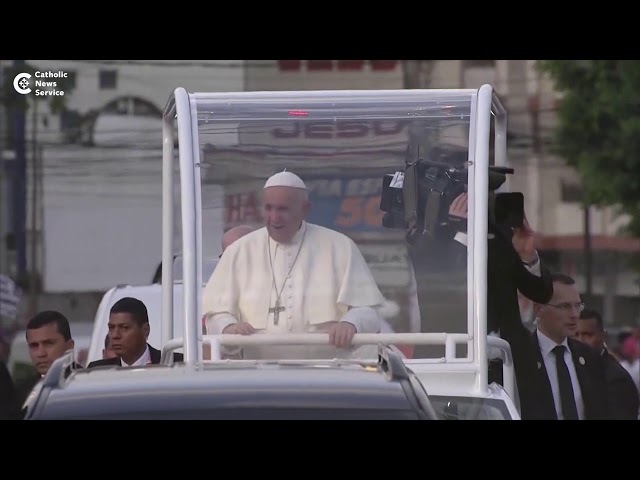 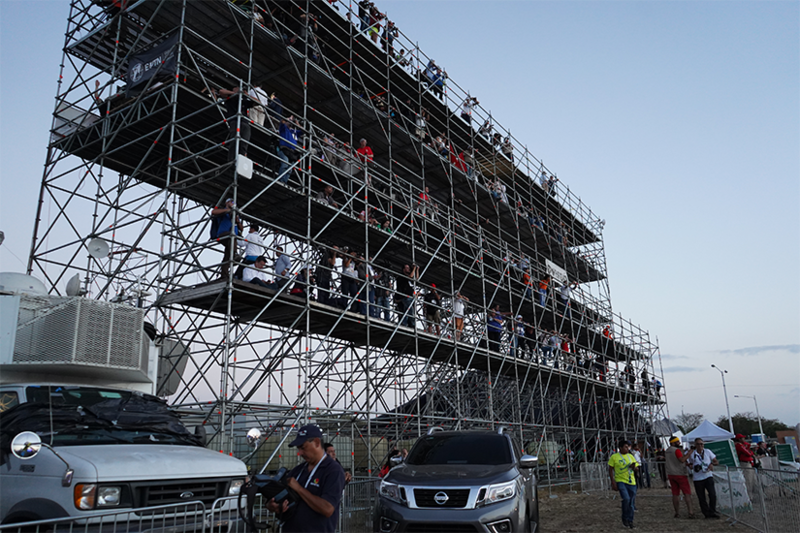 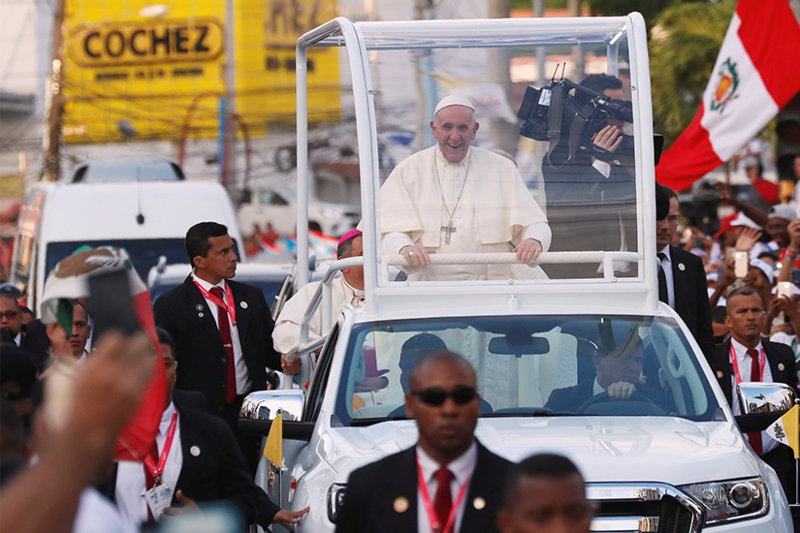 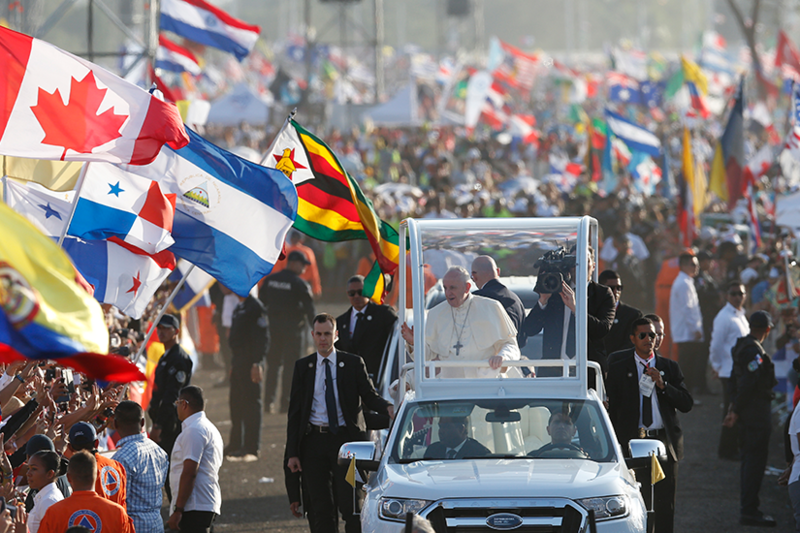 The event commenced with the arrival of Pope Francis, who embraced the volunteers by riding around the stadium in an open-air golf cart, along with Archbishop Jose Domingo. 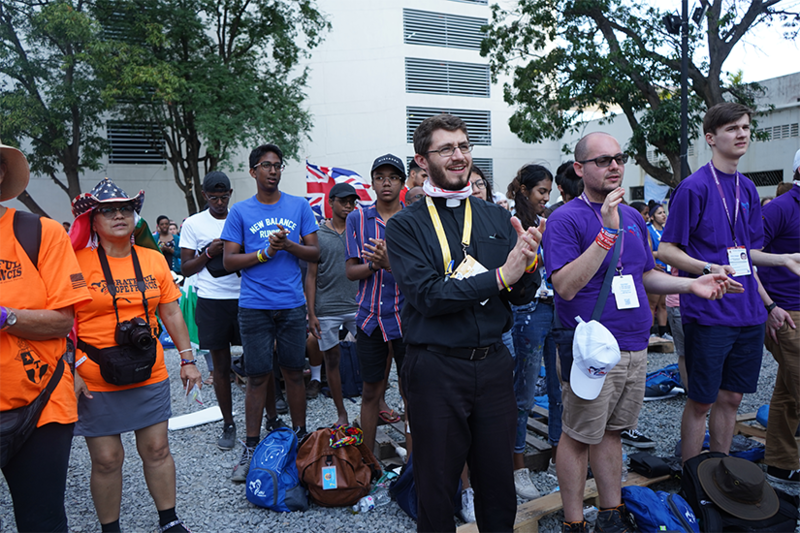 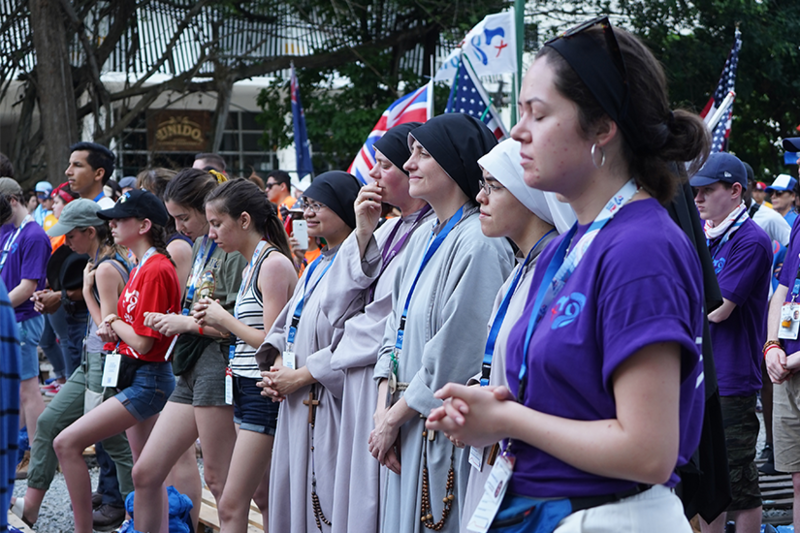 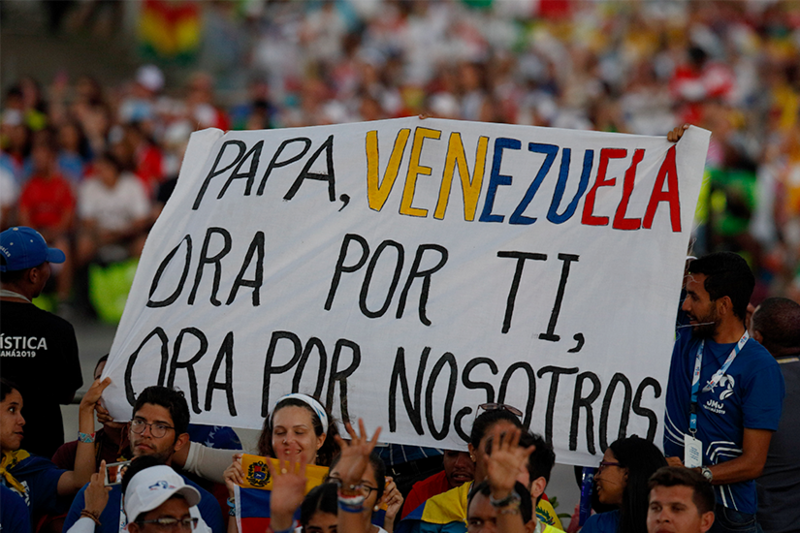 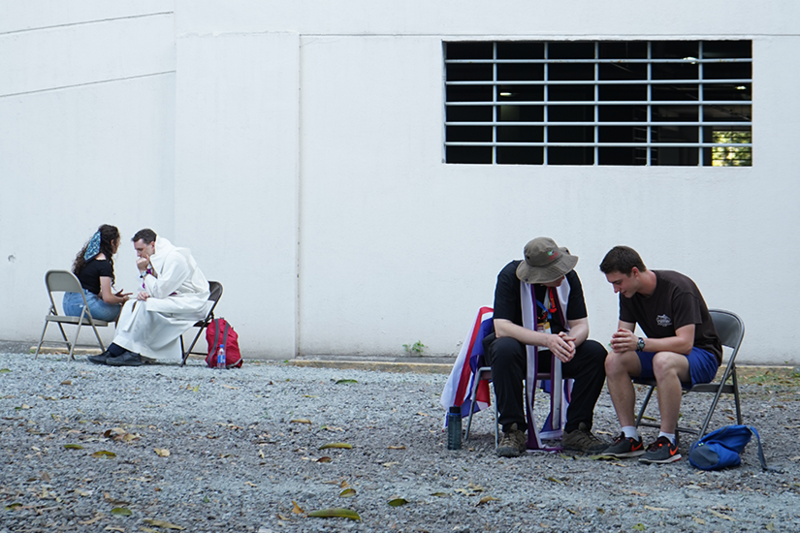 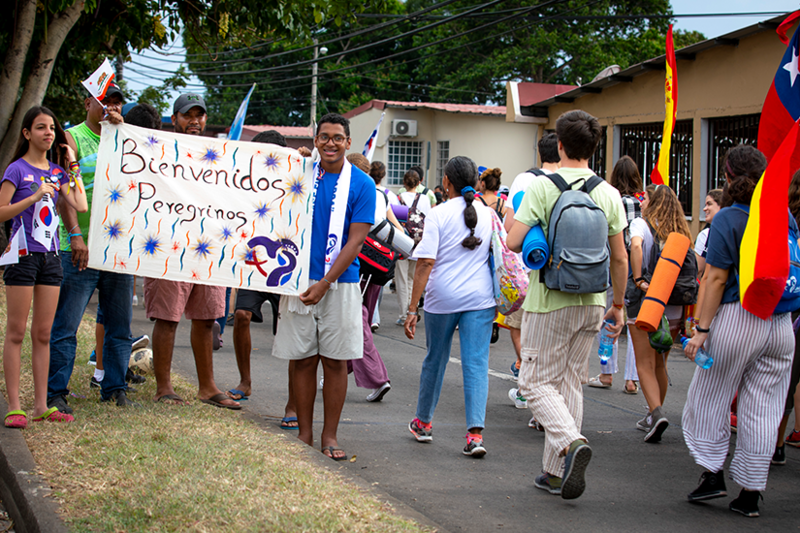 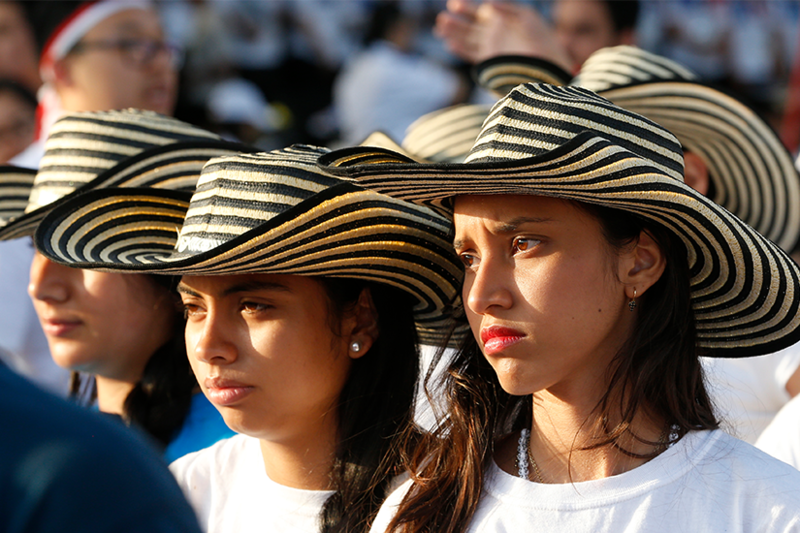 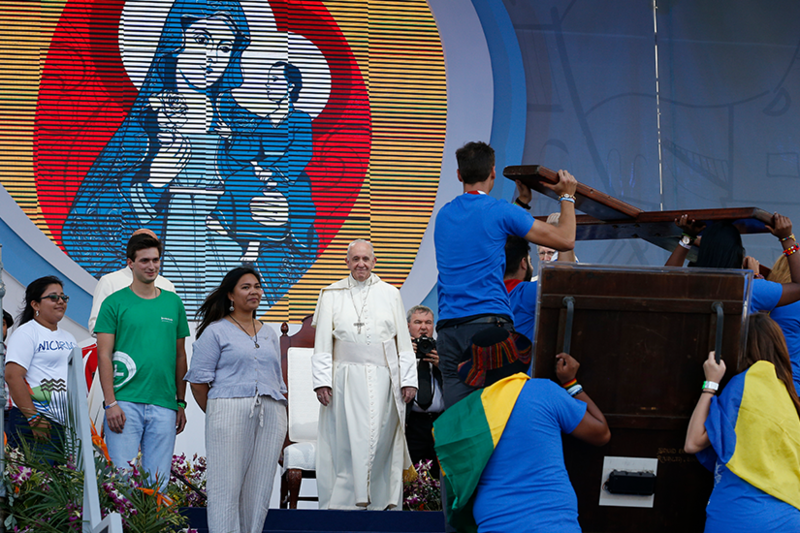 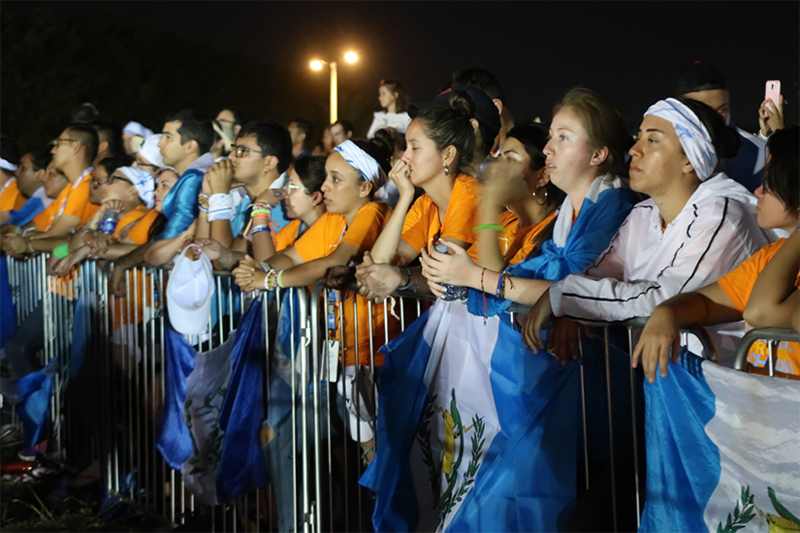 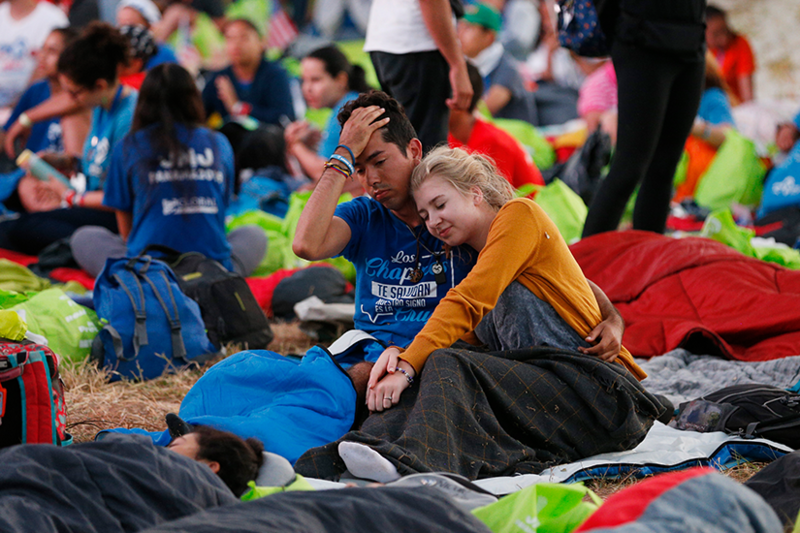 As the Pope took the stage and settled in, he was presented with three emotional testimonies from volunteers telling their journeys of faith, prayer and sacrifice to reach this point in partaking in the WYD in Panama. 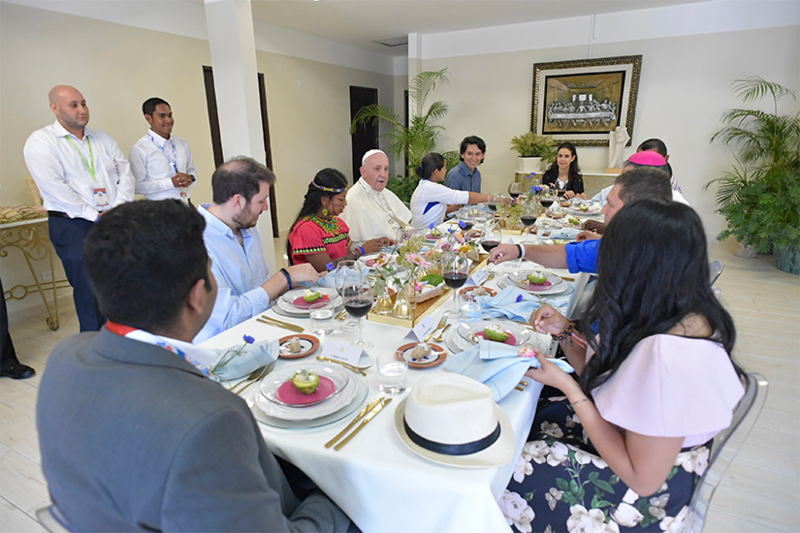 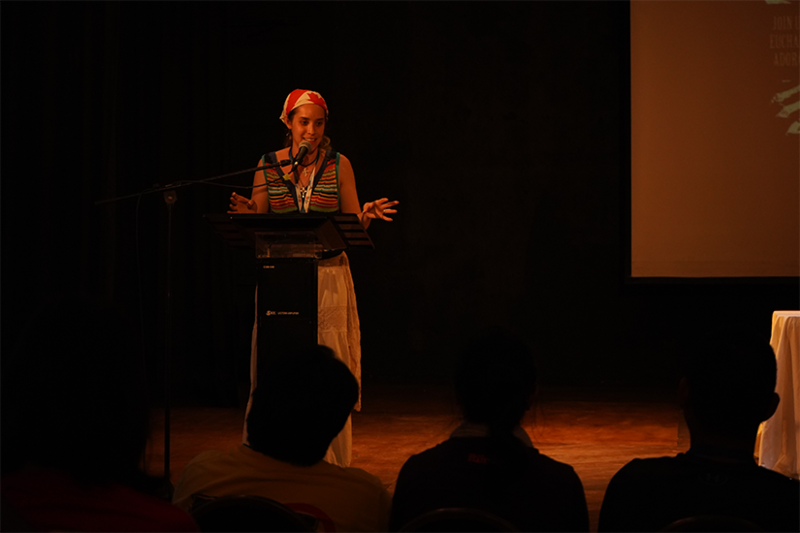 One particular moving testimony, one which certainly touched the heart of the Holy Father, was presented by a 21-year-old Panamanian resident, Stella Maris del Carmen. 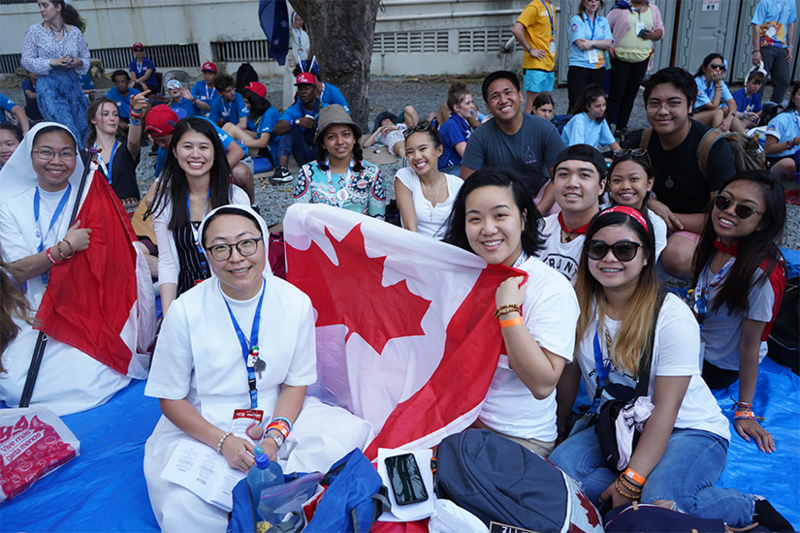 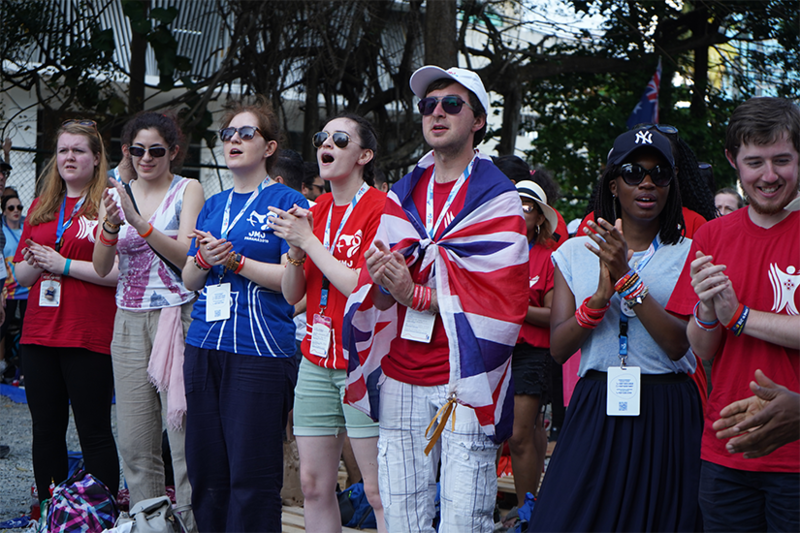 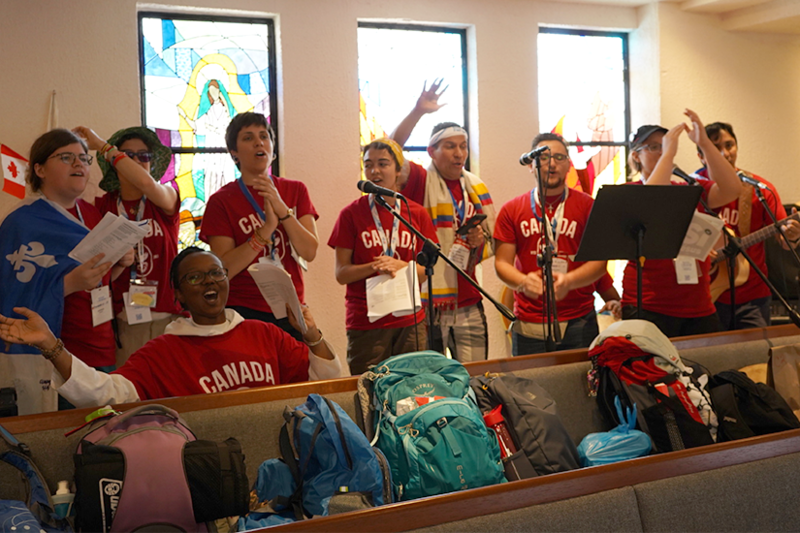 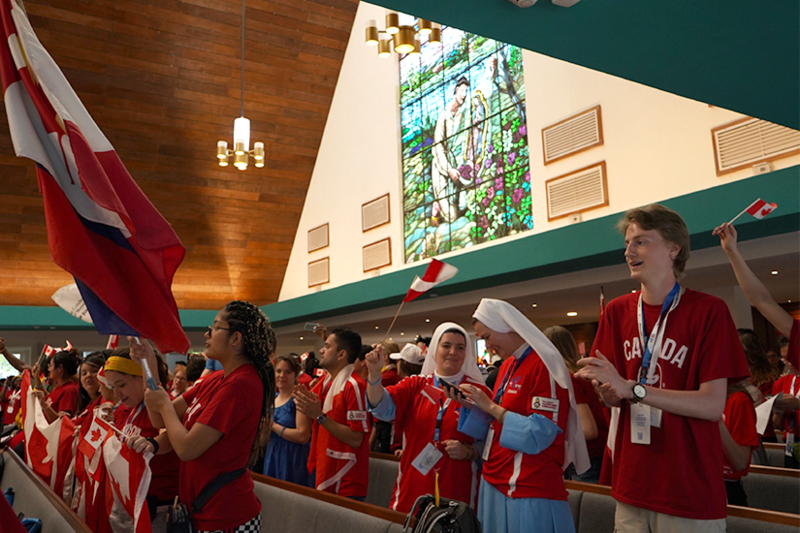 Stella Maris passionately described her childhood dream of attending a WYD. 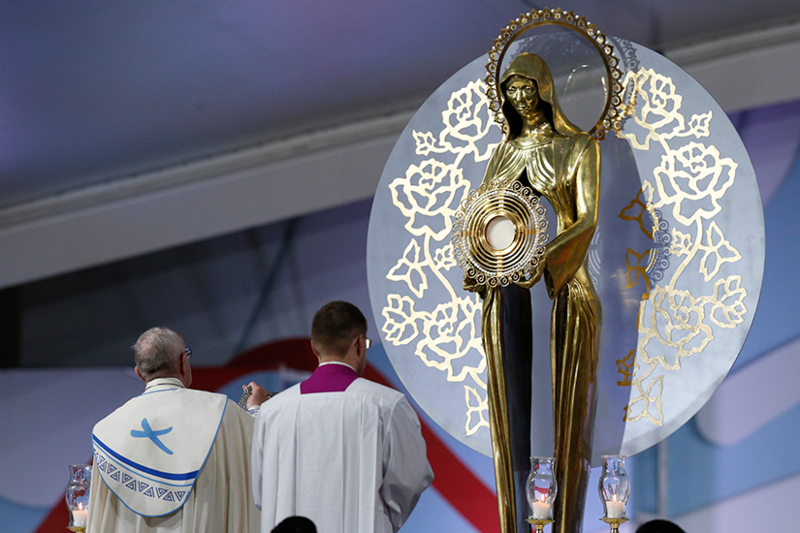 As the 2016 WYD of Krakow was approaching, Stella Maris had finally come of age to travel and attend this special event. 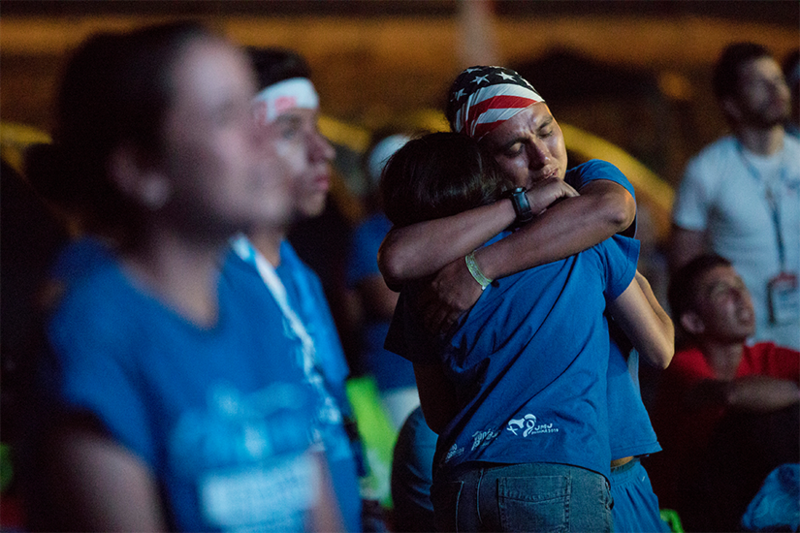 She began many months of fundraising to be able to live out a dream. 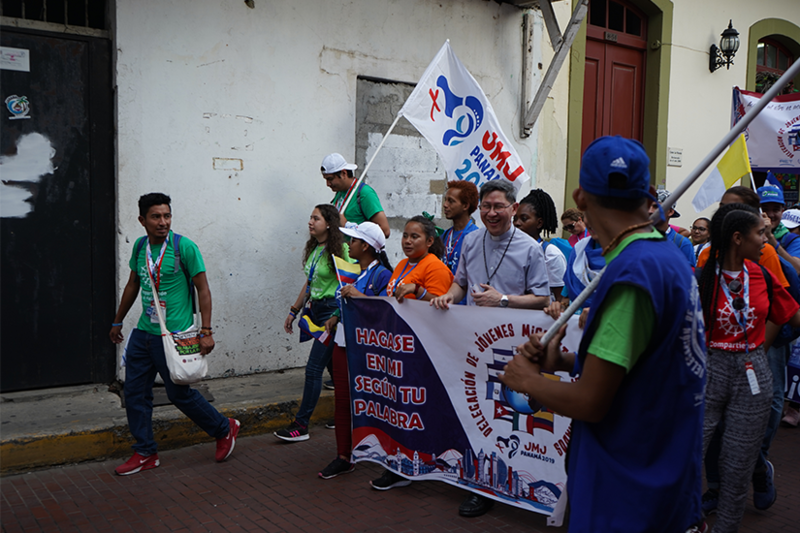 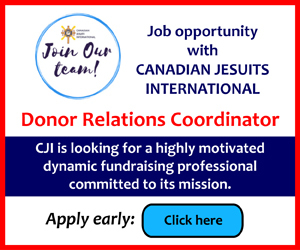 Devastatingly, shortly prior to the 2016 WYD her grandparents passed away and the family found themselves grieving and in need of funds to cover burial costs. 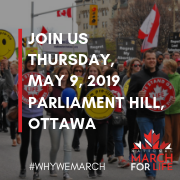 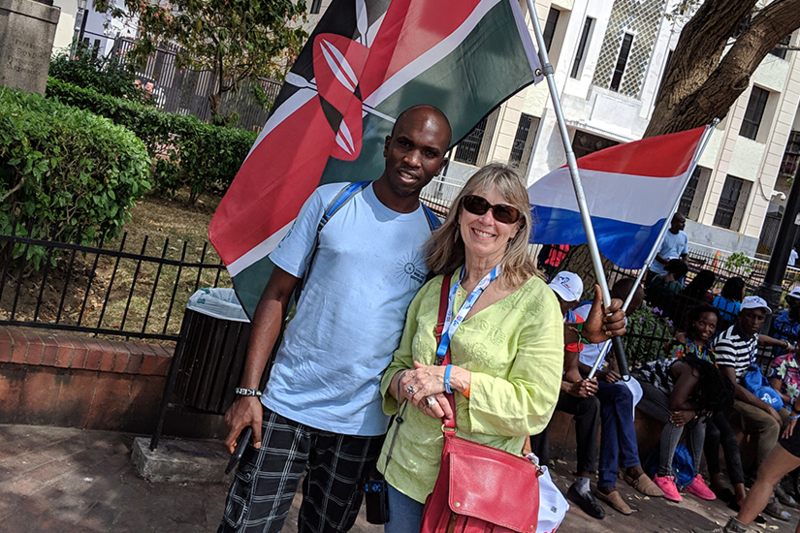 Stella Maris sacrificed her dream of travelling to Krakow and used the funds she had raised to support and honour her family. 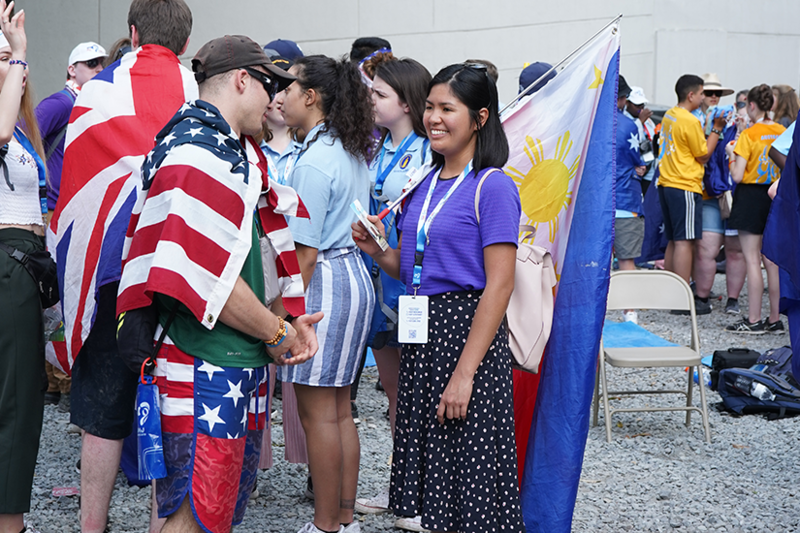 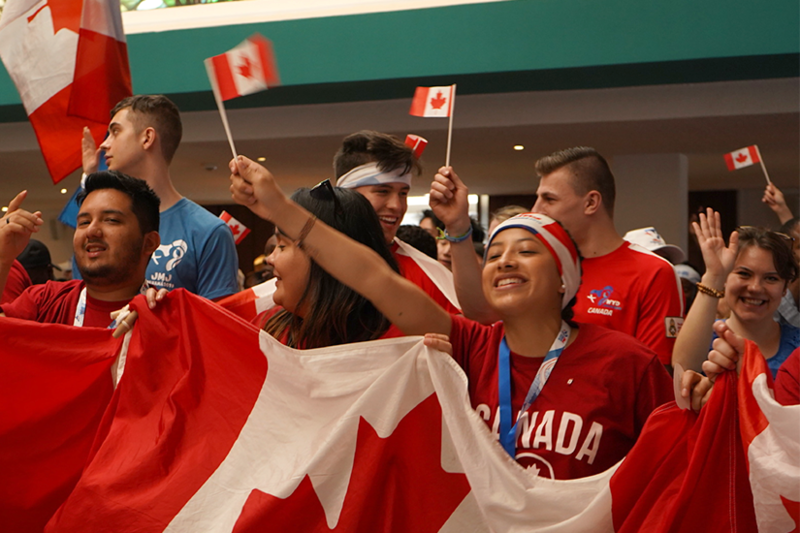 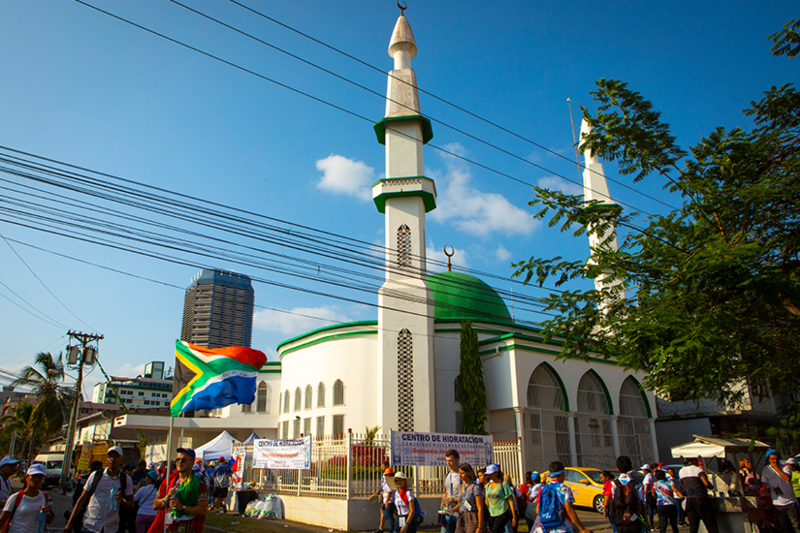 She vividly described her overwhelming joy, when at the closing of WYD 2016 it was announced that the event would be coming to her home country and her dream would finally be fulfilled. 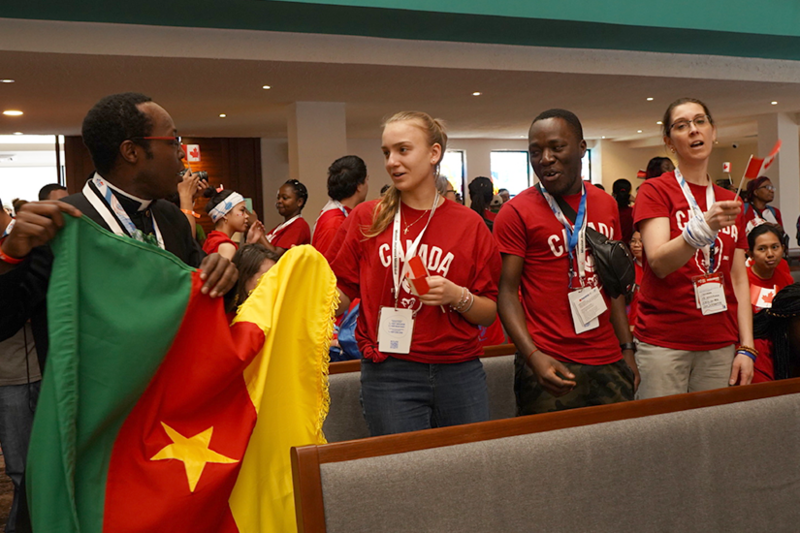 A true gift from God, recognizing the compassion displayed by this young woman in sacrificing her dreams to honour her family. 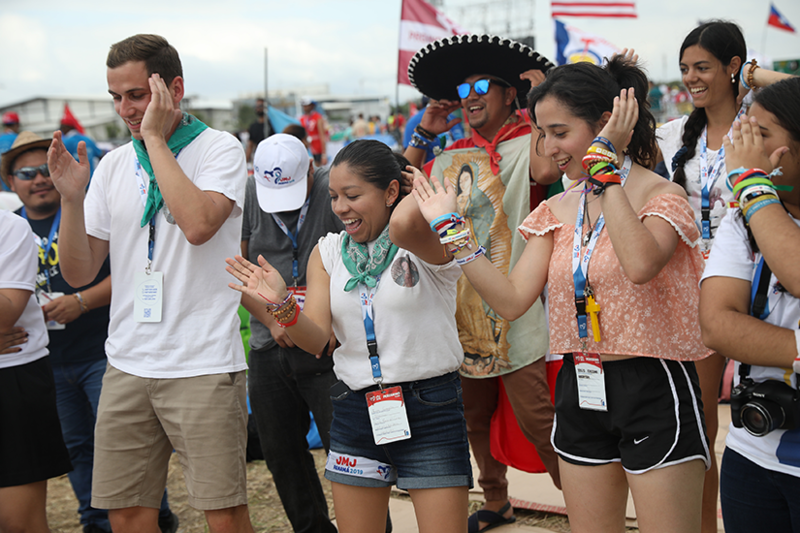 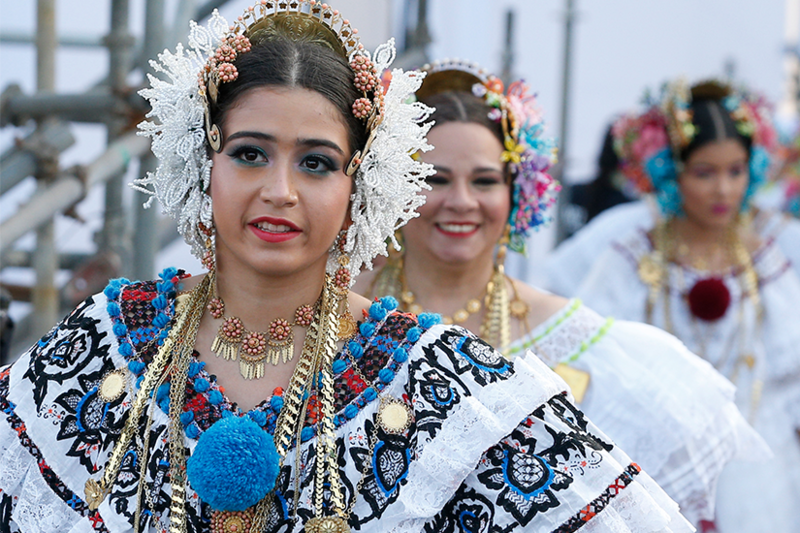 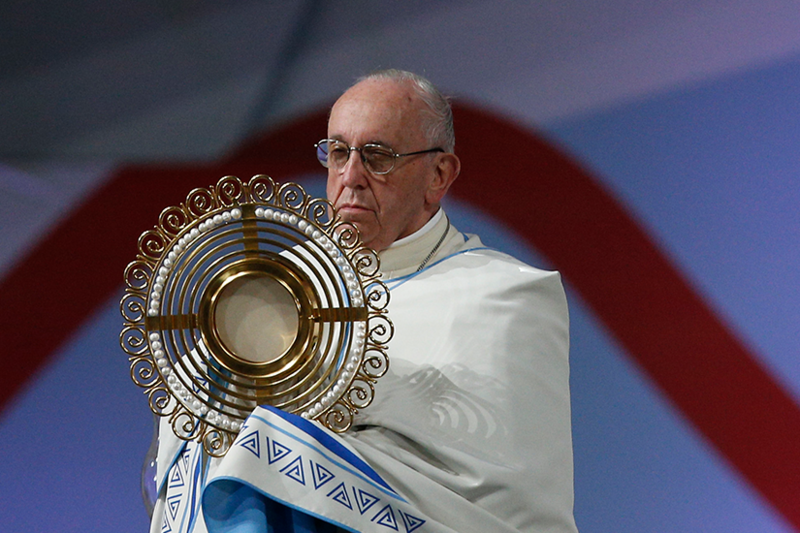 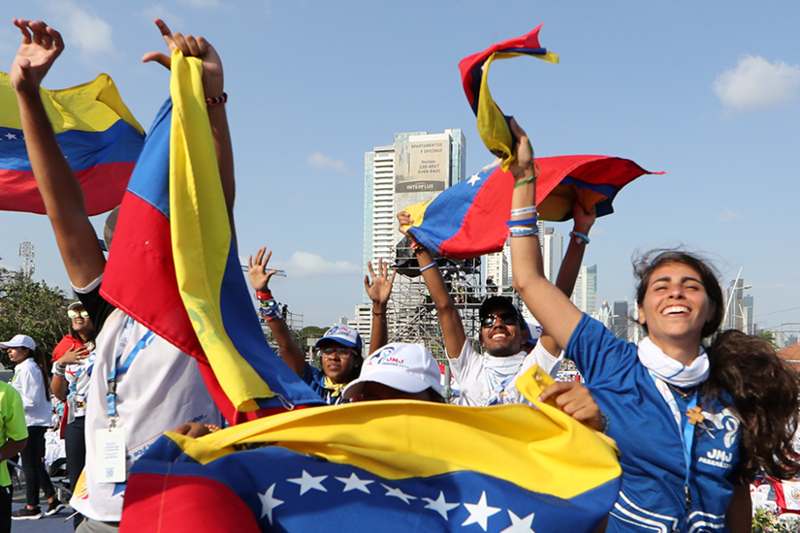 Following the three testimonies, Archbishop Jose Domingo extended words of appreciation to Pope Francis for the opportunity to host WYD in the small, Central American country. 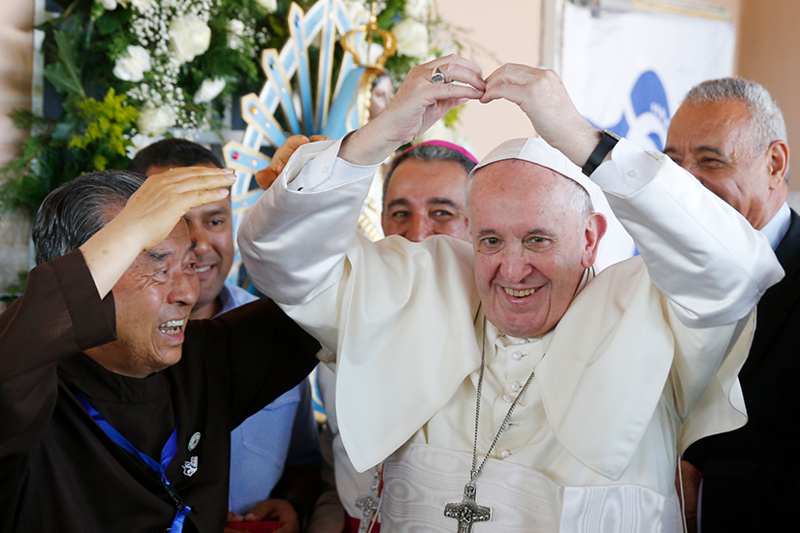 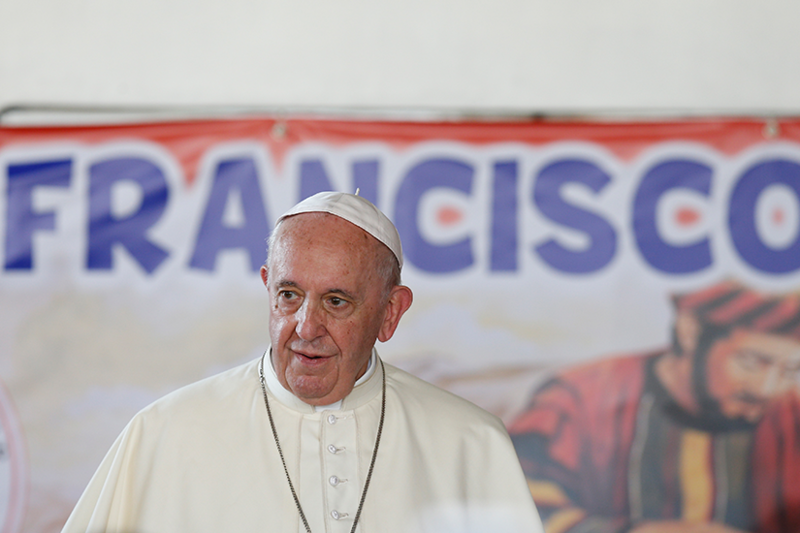 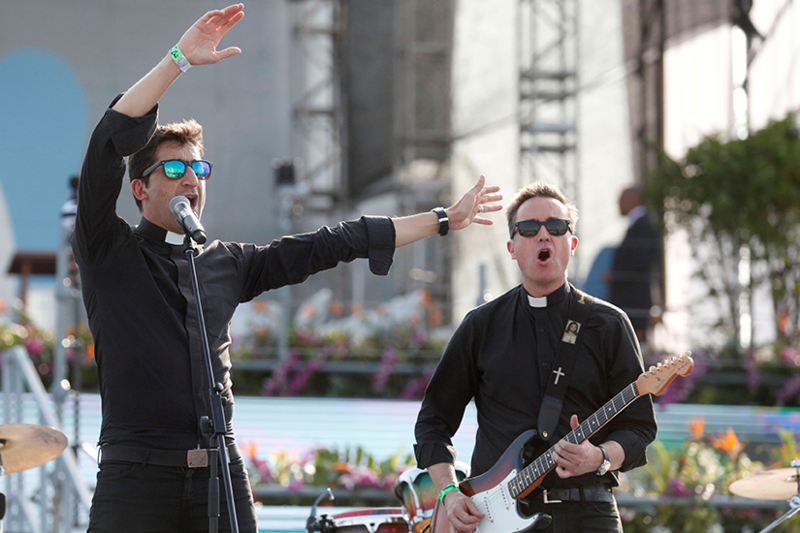 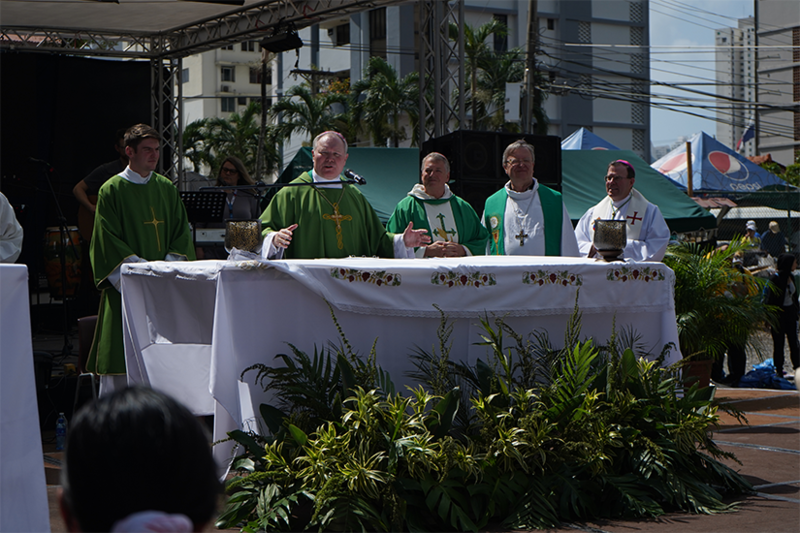 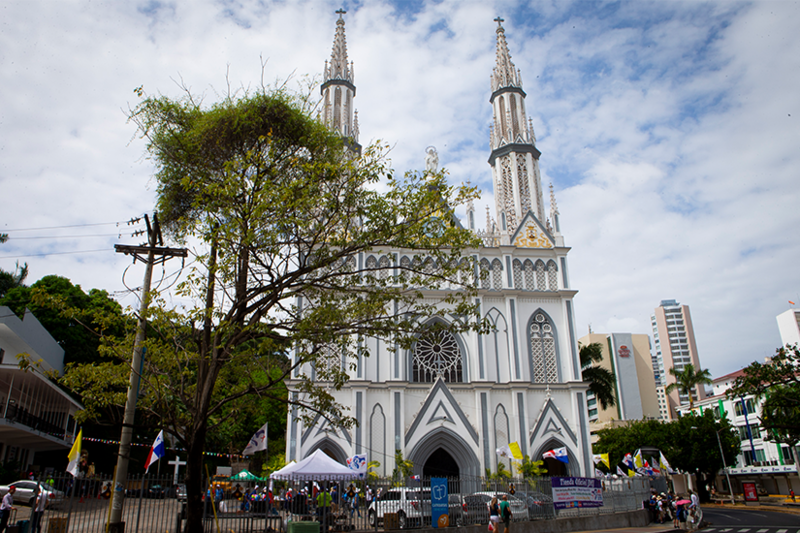 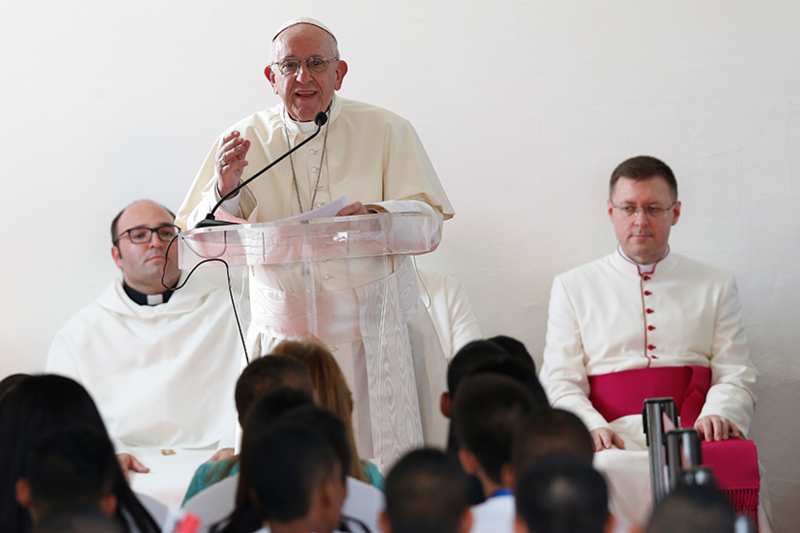 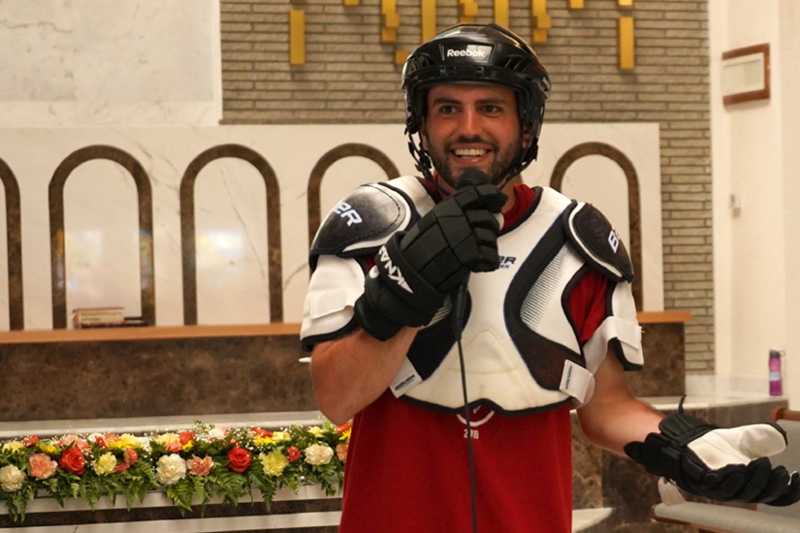 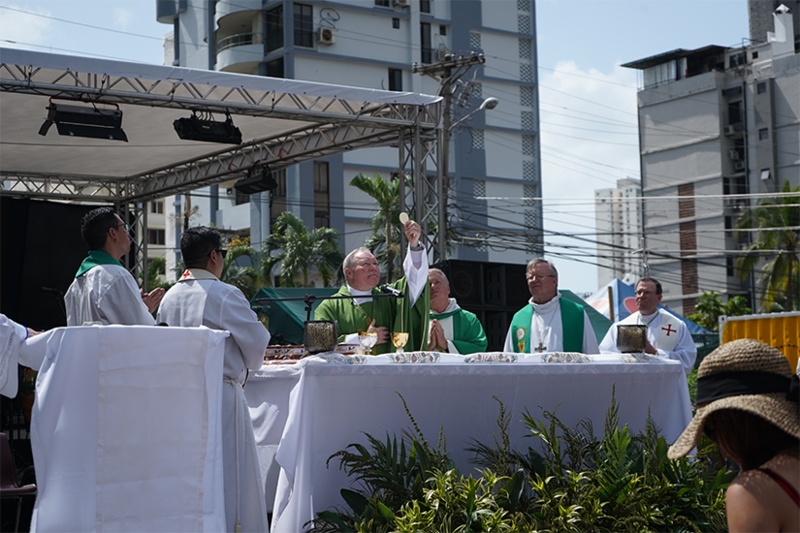 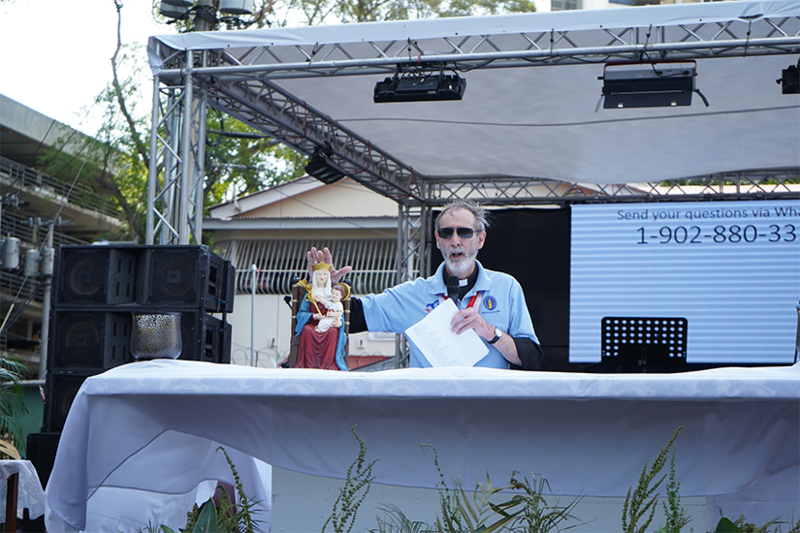 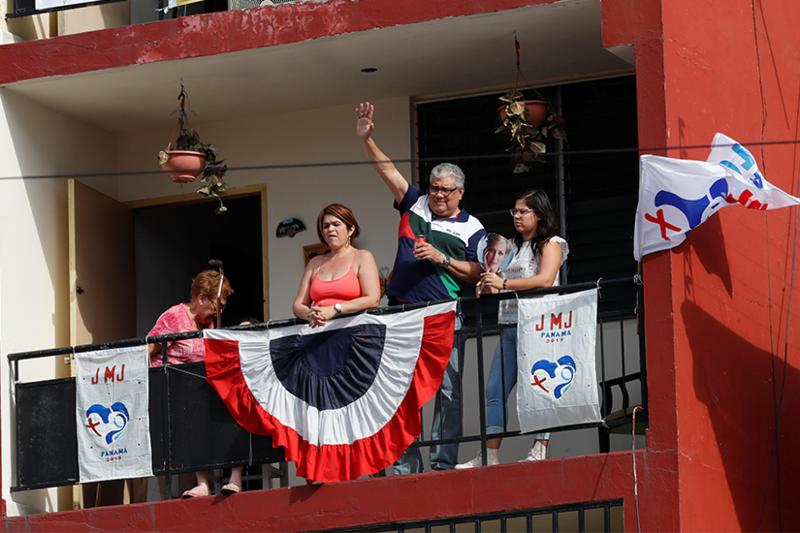 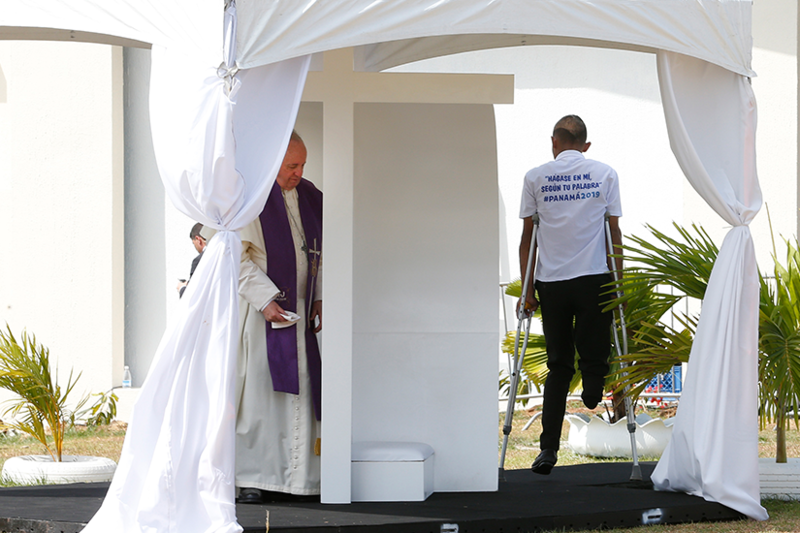 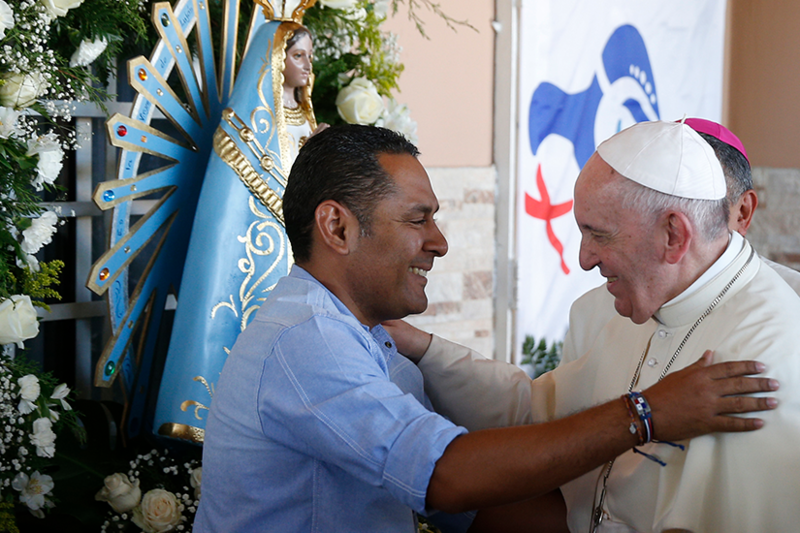 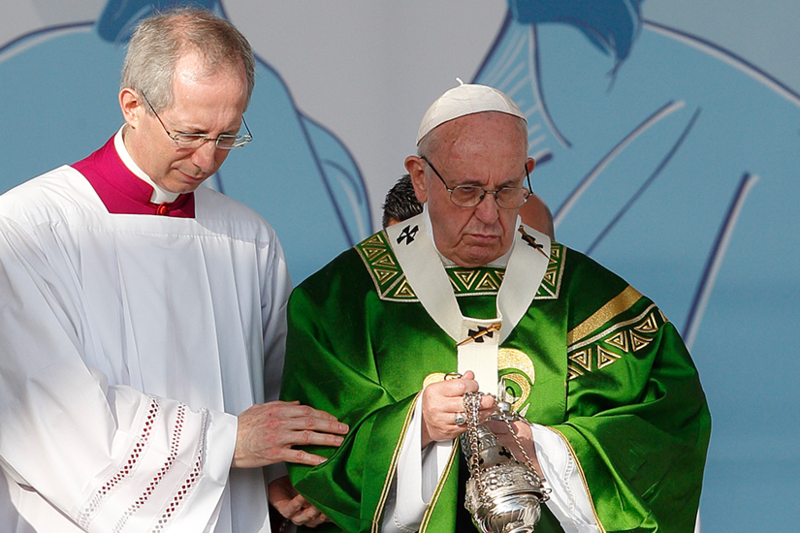 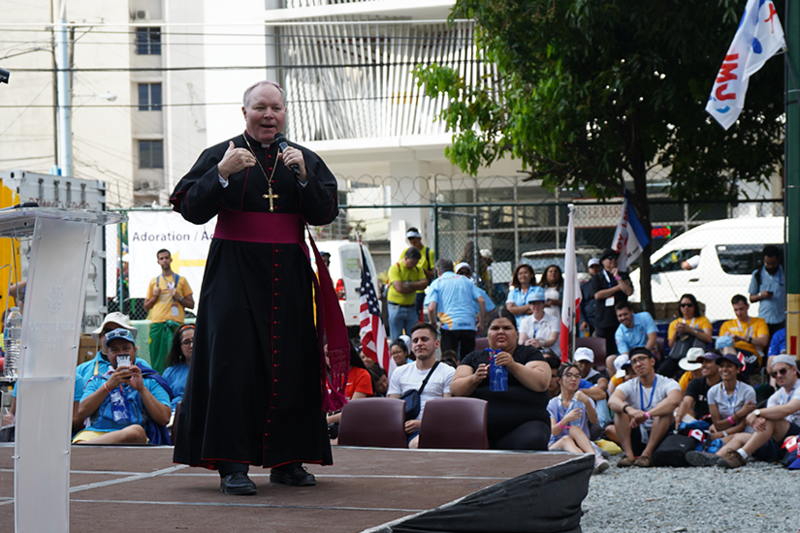 He thanked the Holy Father for coming and celebrating among the faithful in Panama. 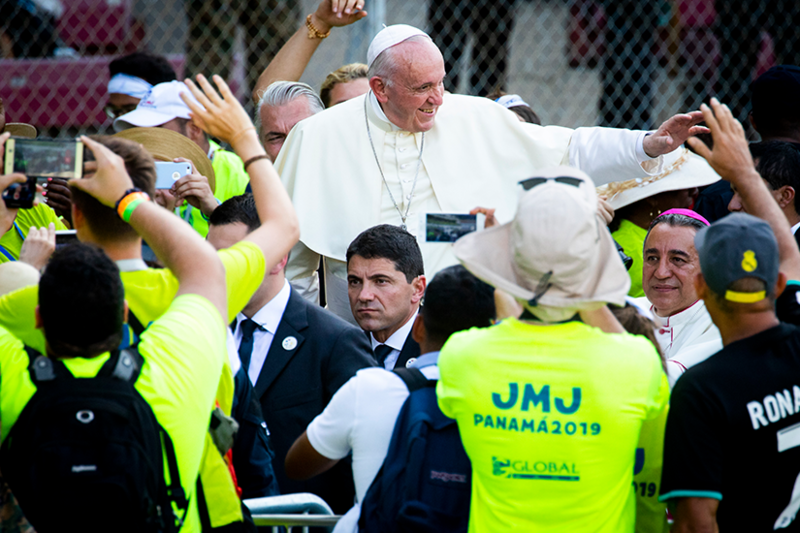 Finally, as the sun was settling behind the stadium walls, Pope Francis approached the podium. 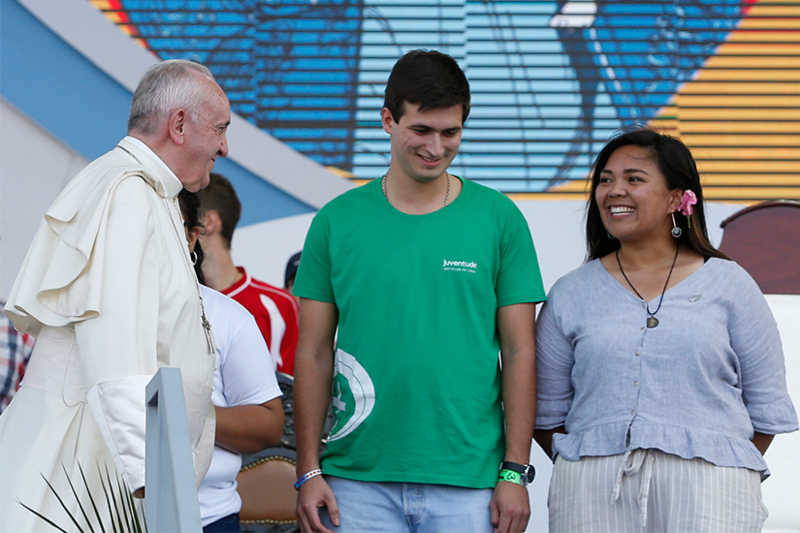 He used the opportunity to thank the three young volunteers for their heartfelt testimonies and for the sacrifices they made to be a servant of the Lord in this WYD. 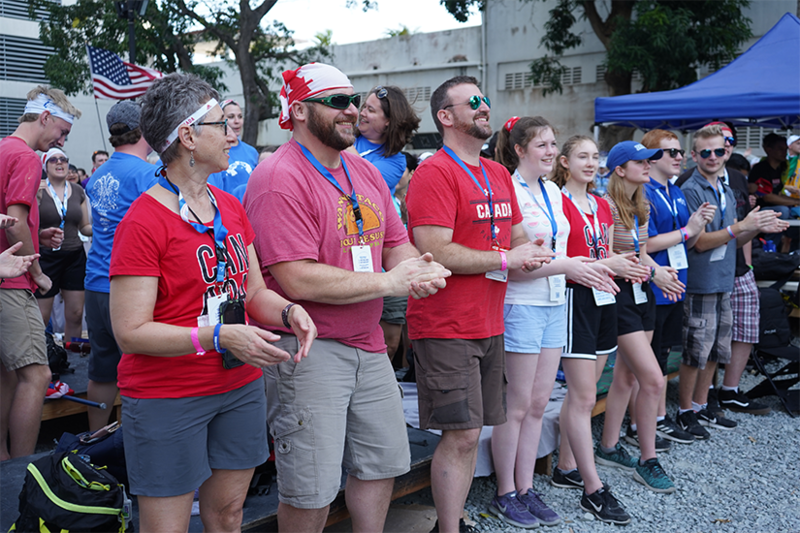 He thanked all the volunteers present for their service and encouraged them to recognize the fellowship that emerges when serving shoulder-to-shoulder. 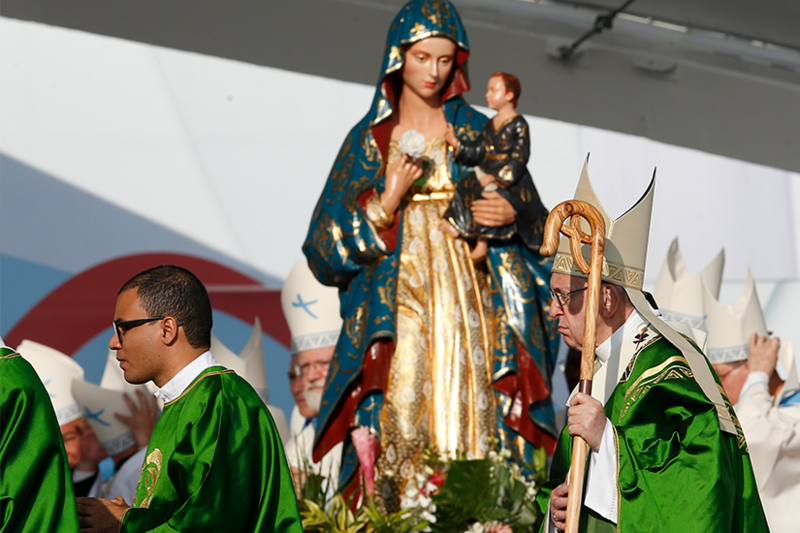 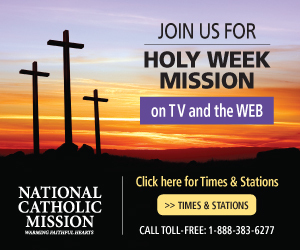 That through this act of sacrifice, faith becomes more alive, dynamic and real. 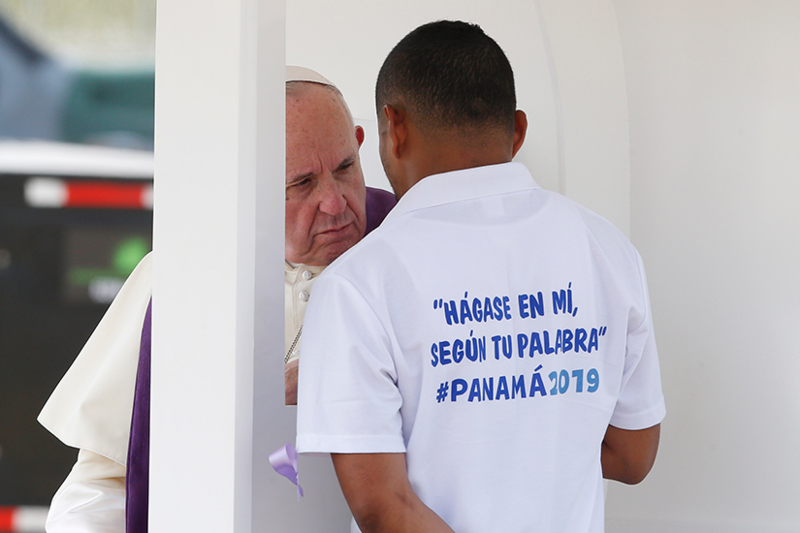 Thank you Pope Francis and thank you Panamá!